There’s nothing wrong with the classic Winter Wonderland themed holiday party but if you’re looking for something different, here’s another one of our unique holiday themes that we love! Tropical Holiday: Can also be referred as holidays in Hawaii or Caribbean Christmas! In order to achieve these themes, you must first crank the heat! You’ll want to make the environment feel warm and tropical. Next you’ll want to plan your menu around the theme. If you’re doing a Caribbean Christmas, create a Caribbean dishes with rice, plantains, beans, and any of various meats such as poultry, pork or fish. Don’t forget about the drinks! You can rent our frozen beverage machine and whip up some strawberry daiquiri and pina coladas! Now to the decor… Tropical places such as Hawaii and the Caribbean are filled with bright colors. Incorporate these colors into your decor buy renting fun bright linens and napkins. Use white padded garden chairs instead of basic folding chairs or banquet hall chairs as they have a summer vibe to them. Add some palm trees, beach balls and some metal drums and you have yourself a perfect tropical holiday party! Classic green & red or blue & silver are beautiful and simple holiday themes but if you’re looking for something different, we have some out of the box themes we think you’ll love! Candylane: Or Willy Wonka and the Chocolate Factory is a fun theme for guest of all ages! Neither of these themes would be complete without candy and chocolate. Rent our chocolate fountain with either white, milk or dark chocolate and make that the center of your party! You can create a candy bar with goodie bags which will also double as perfect party favors! If you’re familiar with the Candylane board game, then you’ll remember those brightly colored spaces. You can bring these colors into your decor but alternating the tablecloths in hues of yellow, blue, green, orange and purple! If that’s too much color for your liking, you can alternate red tablecloths with white napkins and use either our white chiavari chairs or white padded garden chairs. Leaning more toward a Willa Wonky themed party? Use the classic Willy Wonka chocolate bars as your inspiration. Use the purple of the wrapper for tablecloths and then bring in gold chiavari chairs to compliment the golden ticket! 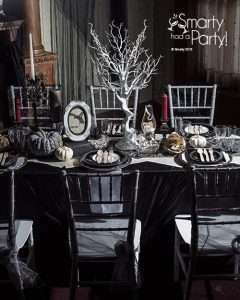 With Halloween just a few short weeks away we think it is time to start planning this years Halloween bash. 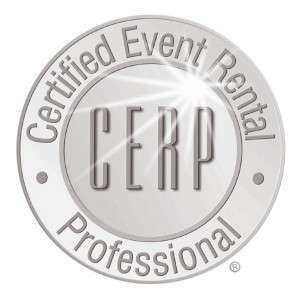 Whether it is a party for the kids or adults only let us help you out with the planning. 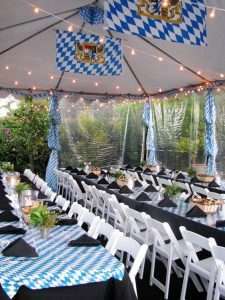 In Munich, Oktoberfest parties are held outside. With the beautiful foliage in New England, what better reason to enjoy the autumn weather! Thank you so much for the tent! It was such a life saver due to the little wind storm that came through and all the rain. We will definitely save up our money to rent one for next year’s Relay. We are proud to say our little group raised $1013.00 for the American Cancer Society. Thanks again and please have a great day!